Village to Village Skiing in the Alps? Life simply doesn’t get any better! As many readers of this post will know, Ryder/Walker Alpine Adventures is known throughout the adventure travel industry as the “European Trekking Specialists”. What many may not know is that our guides and some office staff occupy influential and highly respected positions in the Telluride Ski and Snowboard Schools, one of the preeminent institutions in the country. We decided a few years ago to attempt to combine these two elements and see what the outcome would be. The result exceeded our wildest expectations. Clients last year from Winter Park, both expert skiers, offered us the following description of their experience. “You have changed the way we view skiing forever”. 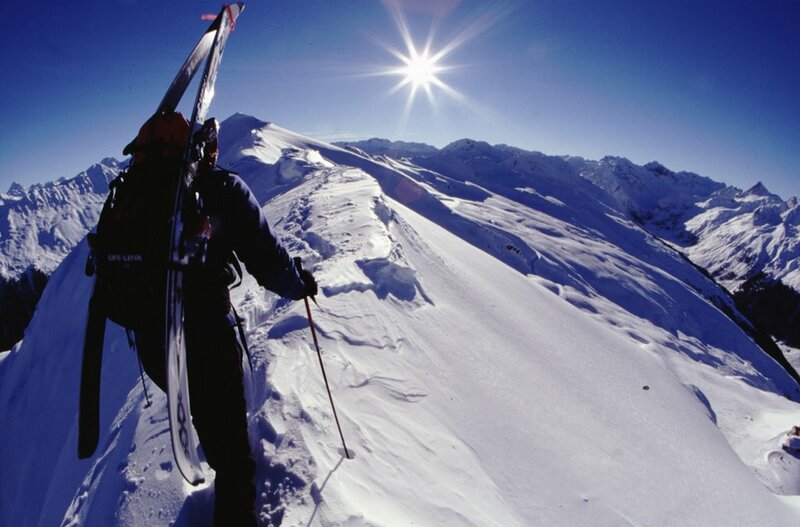 The concept marries our passion for skiing with our intimate knowledge of European mountain ranges, villages, hotels and services. We seek seldom traveled and little known terrain for our daily explorations. Often we find ourselves in quaint little inns and hostelries tucked away at the end of remote valleys where the proprietors are awaiting our arrival with fabulous local cuisine, hot teas, or Gluhwein for the intrepid. A taxi or a train may return us to the lift systems where we begin the adventure all over again, that afternoon skiing into a new village with superb accommodations and our luggage awaiting us. This sister company of Ryder/Walker Alpine Adventures is Alpenglow Ski Safaris and to our knowledge is unique within the ski and travel industry. 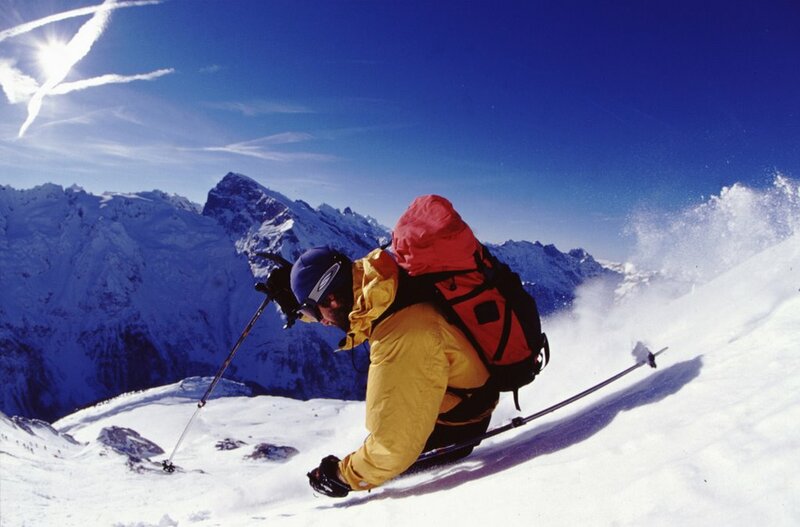 Our programs are suitable for skiers and snowboarders with adventurous spirits that are comfortable on Intermediate and above terrain at ski areas found in the US. Please visit us at www.alpenglowskisafaris.com to view inspiring images and learn more about what we have to offer you.